US Threatens to Nuke Iran and Anyone Else it Feels like Nuking. The 2010 nuclear Non-Proliferation Treaty Review Conference will convene from 3-28 May 2010 in New York. This year’s conference – as with previous years’ – promises to be yet another battle between the developing and the nuclear-armed nations. The US insists that the NPT needs to be rewritten so as to place greater limits on what it calls “nuclear weapons proliferation” whilst the developing nations say that the concern over proliferation is being used as a pretext by the US to avoid its own obligations under the same treaty to disarm its own nukes and to share nuclear technology with everyone else. 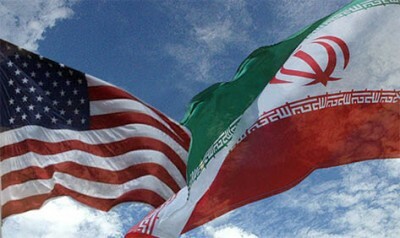 This year, the same conflict will likely continue, and the US (and the US media) will of course try to blame it on Iran when in fact the emphasis on disarmament is shared by a number of countries called the New Agenda Coalition that includes Brazil, New Zealand and Egypt, and is not limited to Iran. In the 2005 Review Conference, the state parties failed to agree on an outcome document, largely because of disagreement between nuclear weapon states and non-nuclear weapon states, with the former emphasizing the importance of strengthening nonproliferation efforts and focusing on specific cases of actual and suspected non-compliance with the Treaty, and the latter emphasizing the importance of compliance with and implementation of past disarmament obligations by the nuclear-armed nations, as well as the importance of sharing civilian nuclear technology. The mainstream US media of course automatically buy into the nuclear-armed nation’s agenda, claiming that the NPT needs to be “fixed” because it has “not prevented Iran from enriching uranium” … as if the role of the NPT is to prevent the peaceful use of nuclear technology (when in fact the explicit role of the NPT is to encourage it.) Look for the media making a big deal out of Ahmadinejad and trying to use him as a foil, and blaming him for the continued standoff at the meeting. Under the terms of the NPT, the US and other nuclear-armed countries that have signed the NPT are obligated to 1- work towards disarmement, 2-share nuclear technology with other signatories, and 3- not share nuclear technology with non-signatories such as India and Israel. Also, in addition to these treaty commitments, in 1995 the US promised (again) not to use nuclear weapons against non-nuclear armed countries (known as the Negative Security Assurance) and is also bound by international law and UN Security Council Resolution not to threaten other countries with nuclear weapons. However, every single obligation listed above. The US had initially agreed to a 13-step plan of action to disarm its nukes as obligated by the NPT. By 2005 and under Bush, the US declared that the 13-steps to be non-binding and irrelevant. The US and Britain and France have formally declared that they have no plans on scrapping their nuclear weapons. Sure, Obama did just hold a disarmament meeting with Russia, but that was just PR. The US has also shared nuclear technology with both Israel and India, two non-signatories, in blatant violation of the NPT. THe US and other nuclear-armed countries continue to place limits on the sharing of nuclear technology with NPT signatories under the guise of preventing the proliferation of nuclear weapons. THe developing nations have consistently decried this. The Final Document of the United Nations General Assembly resolution S-10/2 which was adopted at the 27th plenary meeting of the tenth special session on 30 June 1978 stated in paragraph 69: “Each country’s choices and decisions in the field of peaceful uses of nuclear energy should be respected without jeopardizing its policies or international cooperation agreements and arrangements for peaceful uses of nuclear energy and its fuel-cycle policies”. This position was reiterated in the 1980 NPT Review and Extension Conference and has been consistently reiterated in every Review Conference since then, including the 1995 Review Conference and in the Final Document of the 2000 NPT Review Conference. The Final Document of the 10th Special Session of the United Nations General Assembly in 2002 also reiterated that non-proliferation measures should not be used to jeopardize the inalienable rights of all States to have access to and be free to acquire technology, equipment and materials for peaceful uses of nuclear energy, and that each country’s choices regarding nuclear fuel cycle policies should be respected. And finally the US has explicitly threatened to nuke Iran and anyone else it feels like nuking. So, where exactly is the “crisis” in the NPT — with Iran, or the US?